Ink enables the production of highly stretchable electronics. Soft electronic components, so-called soft electronics, Soft electronic components are gaining in importance. In combination with printing and coating technologies, conductive, elastic structures – also known as stretchable electronics – open up completely new opportunities, for example in sensor technology, bioelectronics, soft robotics or functional textiles and portable devices. One of the major challenges is the compromise between the electrical and mechanical characteristics of the material. 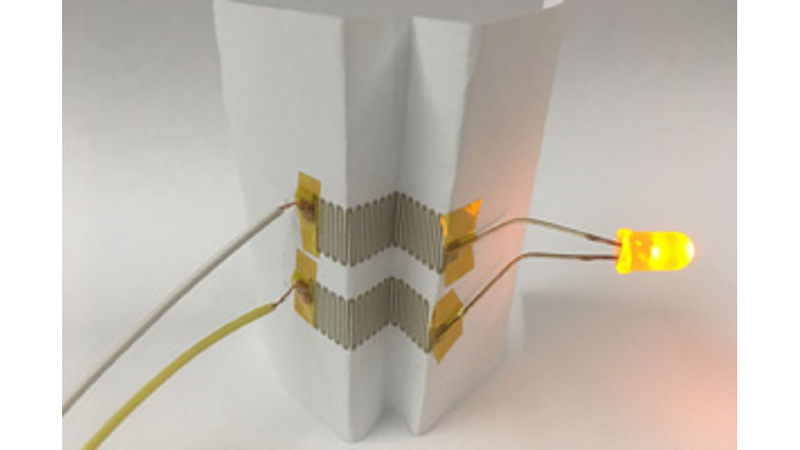 Although initial approaches to 3D printing of conductive materials already exist, components made with this technology are only partially stretchable. In order to achieve a high conductivity, these are mixed with larger quantities of conductive particles. As a result, mechanical flexibility and ductility are severely restricted. Scientists at KIT have succeeded in developing a conductive ink for 3D printing that manages with a considerably lower particle concentration without losing conductivity and therefore has high stretchability. A polymer and a conductive metallic powder – e.g. thermoplastic polyurethane (TPU) and silver particles – are blended with a secondary, immiscible liquid to form a capillary suspension. This second liquid induces the self-organization of a network of conductive particles within the flexible polymer, enabling high conductivity despite the low particle concentration. Printing processes such as direct ink writing or screen-printing can be used to process the ink and cure it by heat or UV radiation. The highly conductive ink allows the large-scale production of filigree stretchable components such as sensors, integrated circuits or antennas. They easily adapt to dynamic, non-planar surfaces and can be repeatedly stretched or deformed.